We want to know: what’s scaring you about being a grad? Being on my own! Being in school, you’ve always had your friends, your profs and other wonderful people who can guide you, remind you, encourage you. But now that you are done, you have no idea what to do or how to do it! You’re scared, nervous, confused and sometimes unmotivated. Being a grad is scary because it basically means it is time to be an adult! The next chapter. The door just opened to a whole new world and it’s quite daunting. Who knows where you’ll end up in 5 or 10 years! What next? I’m I really prepared for the outside world? Will I get a job worth the time and effort I put into school? How to be great..how? 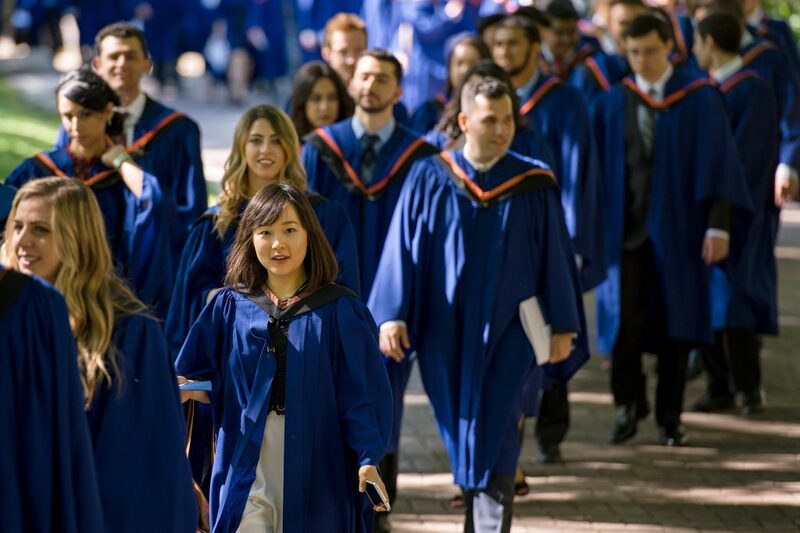 Graduation is exciting as it allows you to celebrate with your friends and family at Ryerson and that is something that you don’t get to do. However, having said that, graduation can be scary as the summer after your last semester at Ryerson will not bring you back to school in Fall. This time it won’t bring you back at all! And so this marks your entrance into the real world, where Ryerson is not holding an invisible umbrella over your head to shield you from the responsibilities facing you. Summer all of a sudden seems less exciting as you are constantly trying to work hard to find a job and the burden of OSAP might be coming your way soon if you haven’t paid a dime at all in your last four years. What about you? Tell us @RUStudentLife.